It’s pretty impossible to miss the whole 90’s resurgence which is going on at the moment. I’m still in my twenties, but seeing the return of staples of my childhood has me feeling old. 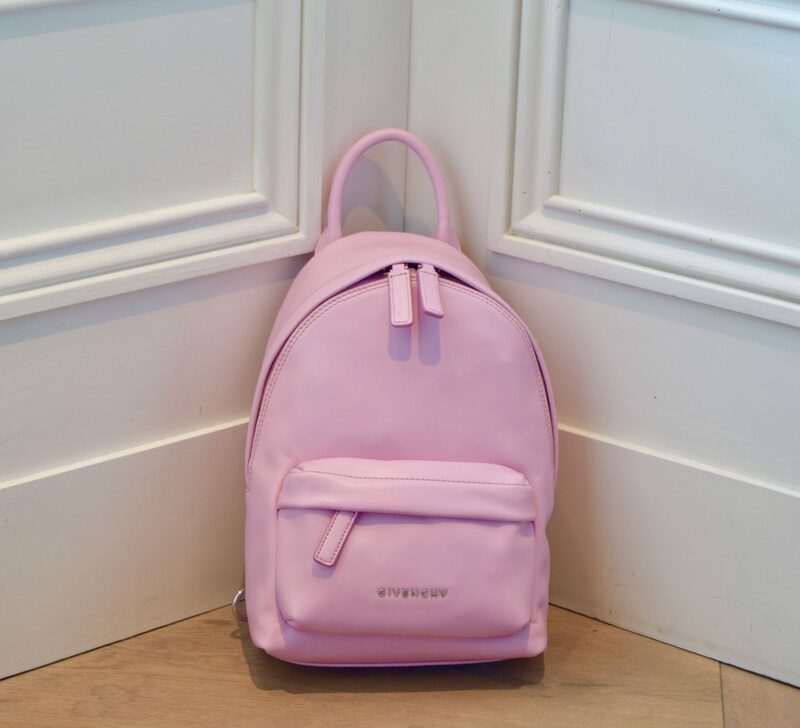 Case in point – the backpack. 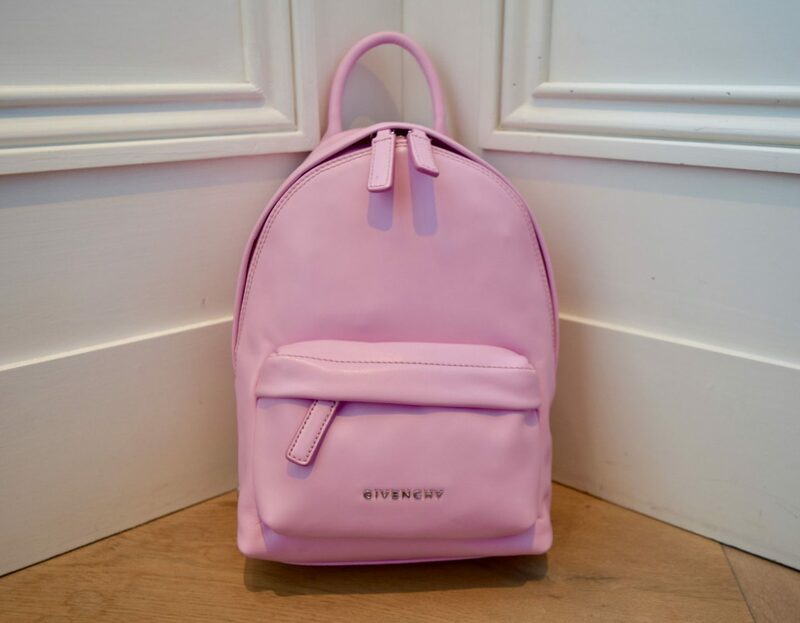 I’ve been a staunch ‘purse’ girl for years, but seeing all the cute little backpacks has made me all nostalgic, and the best one I’ve come across has to be the squishy little marshmallow which is Givenchy’s Nano Pink offering. Small enough to not feel like my old schoolbag, the Nano fits my phone, makeup bag and essentials with room to spare. The front pocket means that my must-haves are easily accessible, and I just adore the pared back design. 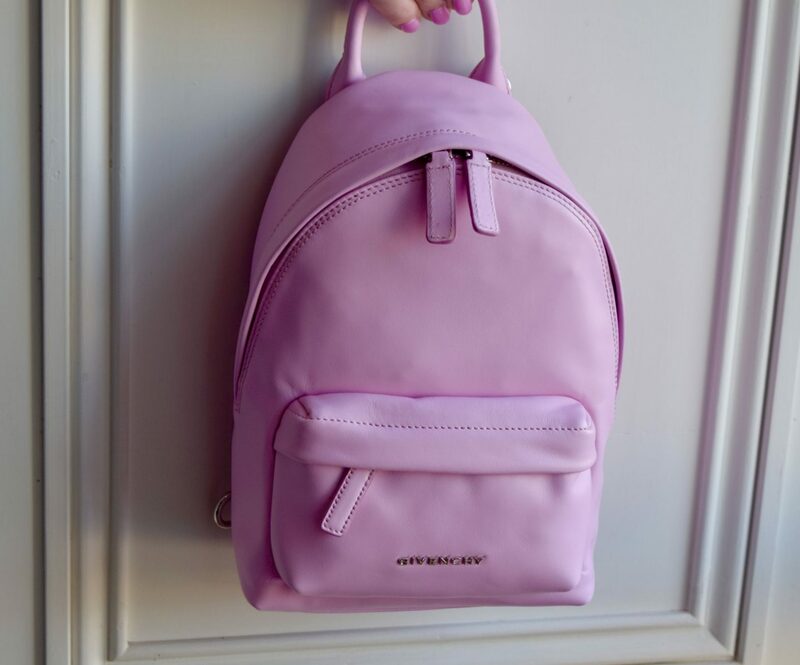 The leather is buttery soft, the the candy pink could not be cuter! It’s perfect for Spring and Summer outfits, and it adds a perfect pop of colour to my regularly neutral outfits!